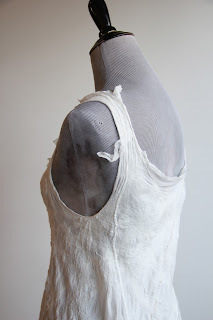 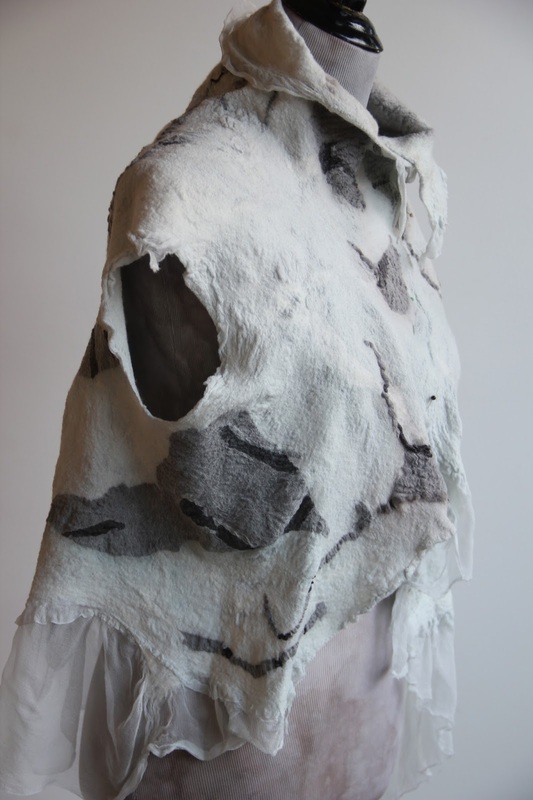 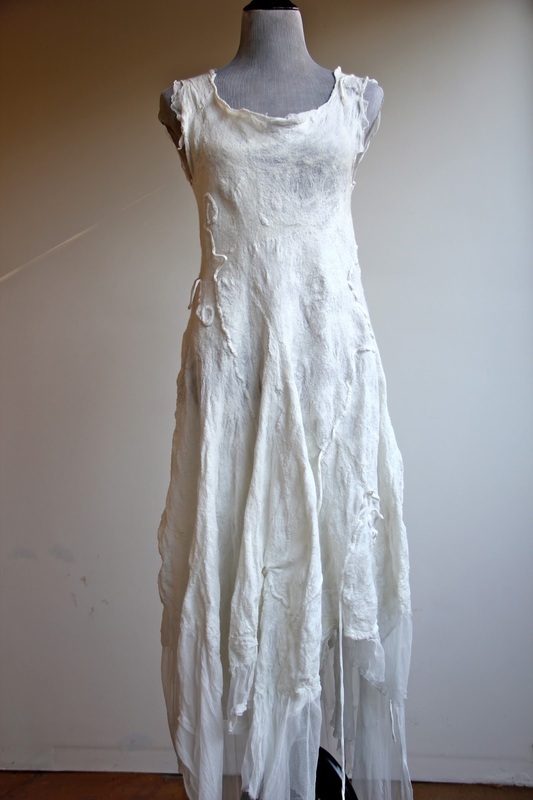 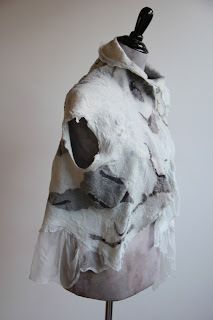 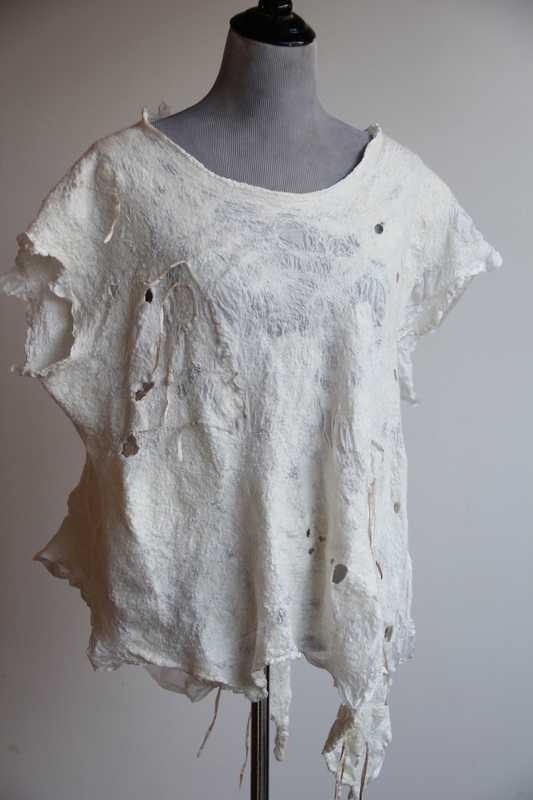 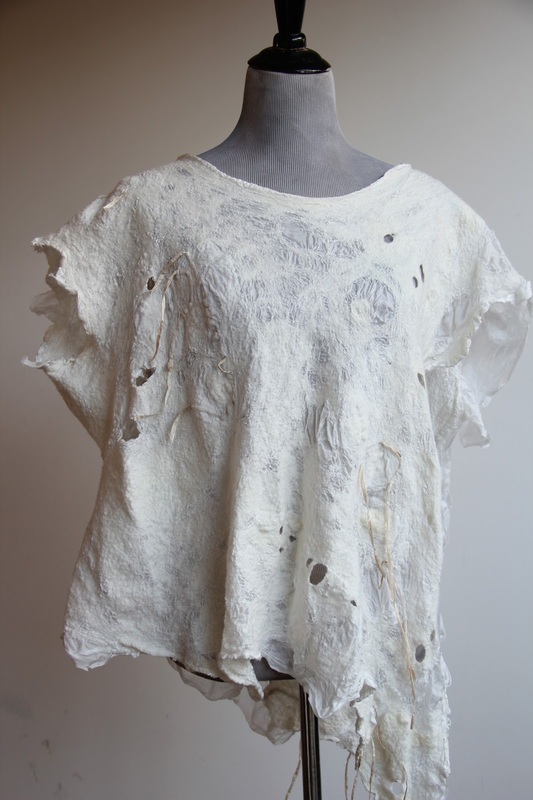 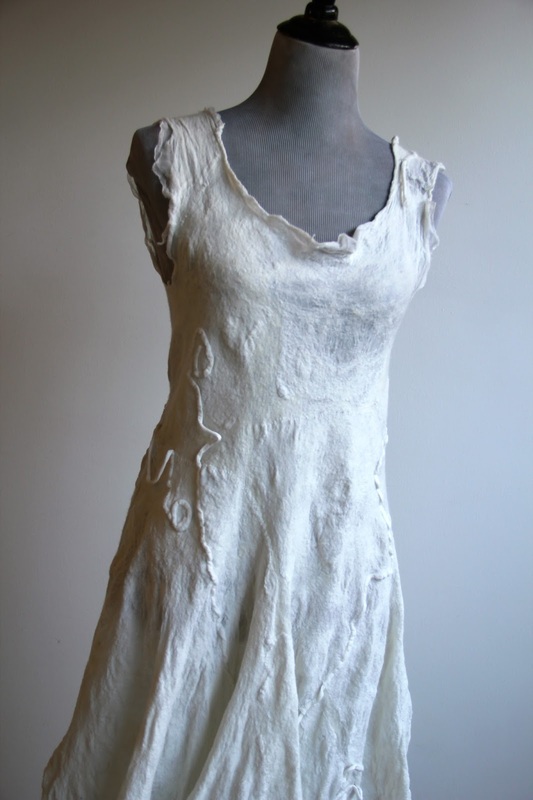 I created these white nuno felted seamless garments for the workshop I'm taking in early August at the Newport Visual Arts Center in Newport, Oregon hosted by Tash Wesp with instruction by Pia Best-Reininghaus from Germany. Both women are extremely talented and knowledgeable in the world of eco printing. It will be delightful to see darling Tash again whom I met at Irit Dulman's workshop at Opulent Fibers a few years ago. 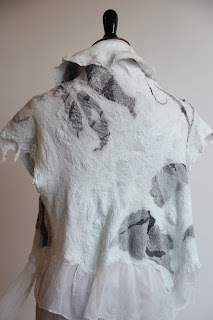 Pia's eco prints with indigo are simply gorgeous and I hope to learn the techniques and come home with some beautifully dyed indigo/eco printed pieces. 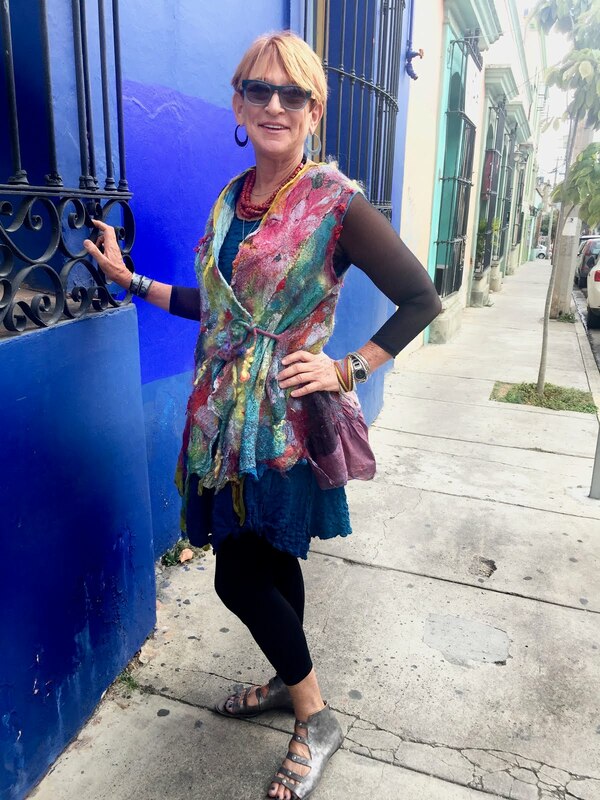 And the extra fun is that I'm taking the workshop and sharing a room on the beach with my friend Helen from Vancouver who took my vest class in Southern California a few years ago. 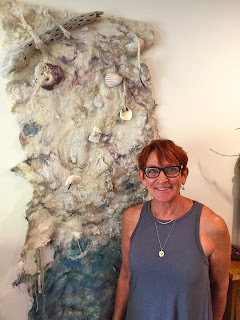 I just cherish the connections and friends I have met from my passion with felting. 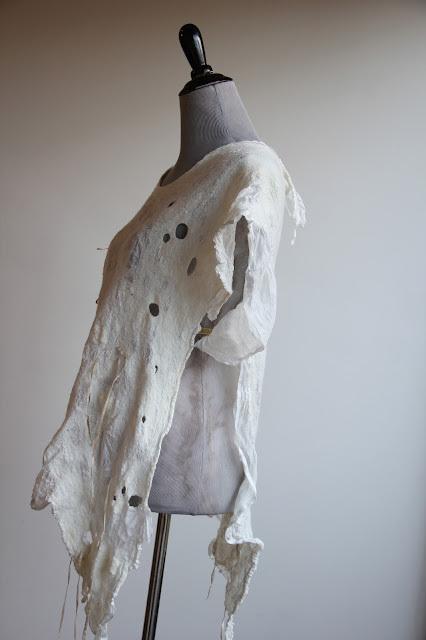 CLICK HERE TO SEE THE FINISHED INDIGO DYED/ECO PRINTED GARMENTS. 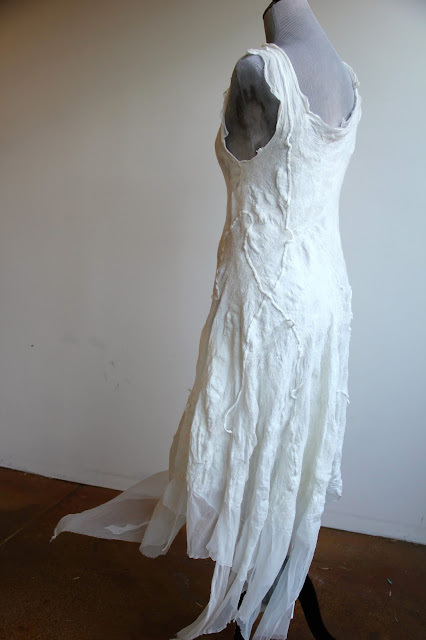 This dress was created with an extra resist on both the back and front to give it its fullness. 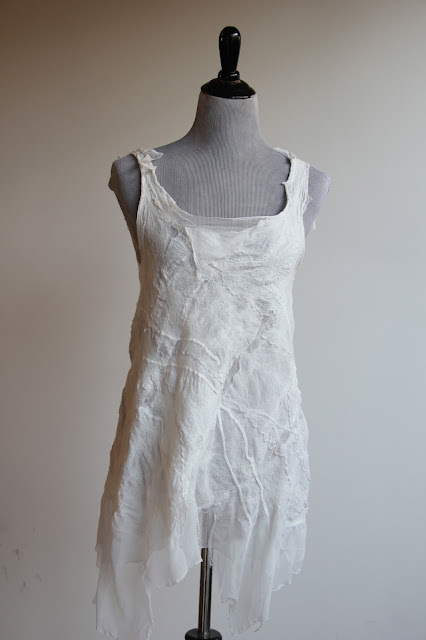 Tunic top created on a resist with two layers of very sheer silk gauze and one layer of merino wool roving. 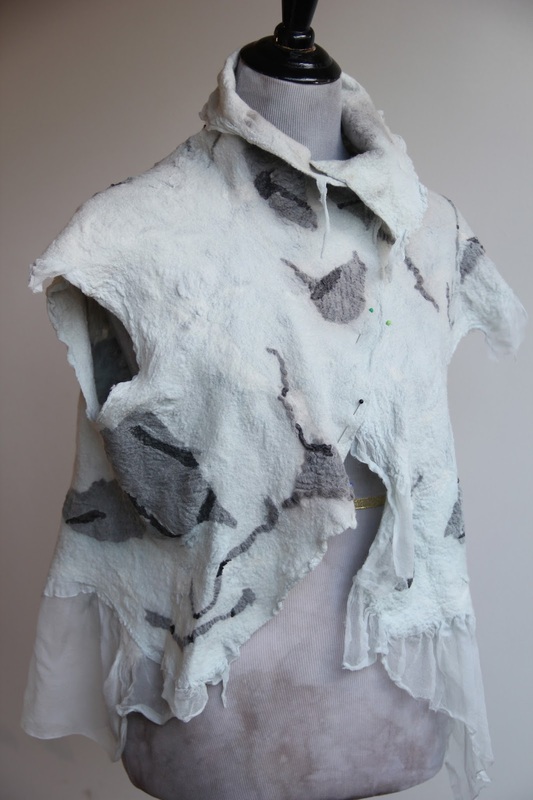 I added yarn for some additional texture. 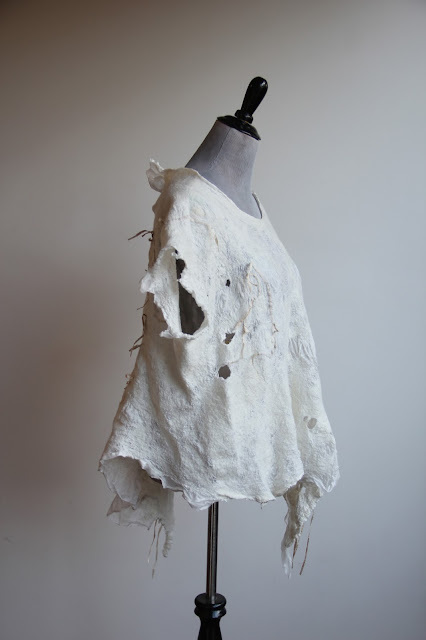 I love this light weight poncho with one arm and one side open. I added some paper yarn for extra texture. It should be interesting to see how this little vest dyes with indigo and the eco prints. 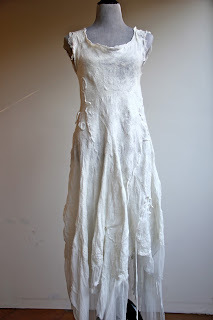 I used some black gauze along with the white.